A novel approach to solid phase extraction, based on the use of a highly selective molecularly imprinted polymer, is presented. The versatility of this type of sorbent for solid phase extraction was demonstrated in a model batch-wise pre-concentration of sameridine prior to gas chromatography. Problems associated with leakage of remaining imprint molecules during the desorption phase could be eliminated by the use of a close structural analogue of sameridine as the imprint species. 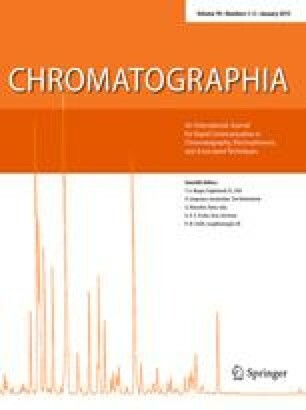 It was found that a major benefit of the imprinted polymer was its specificity, which lead to distinctly cleaner chromatographic traces and ability to improve sensitivity by extracting sameridine from larger sample volumes.